Following the years of intense focus on the “Beethoven Death Mask Variations” life threw me yet a new idea. In fact, gave me a new life. 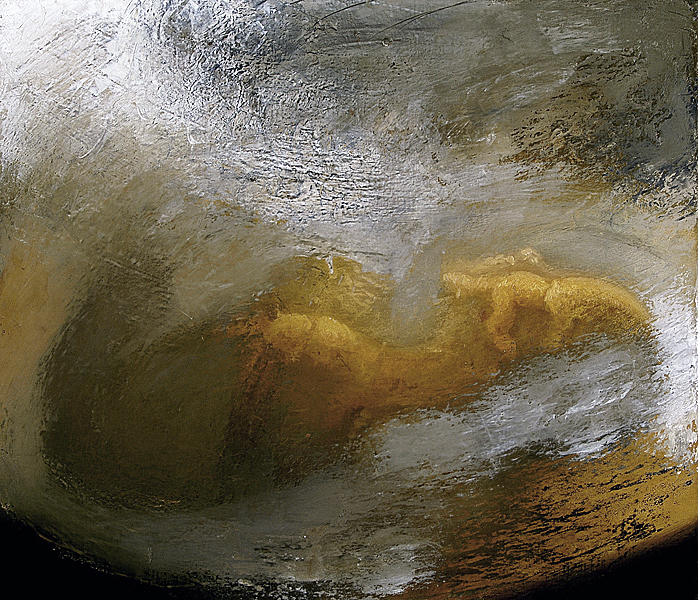 When I first saw my then five-month-old embryonic son’s ultrasound, my initial reaction was that of awe. I was to become a father. 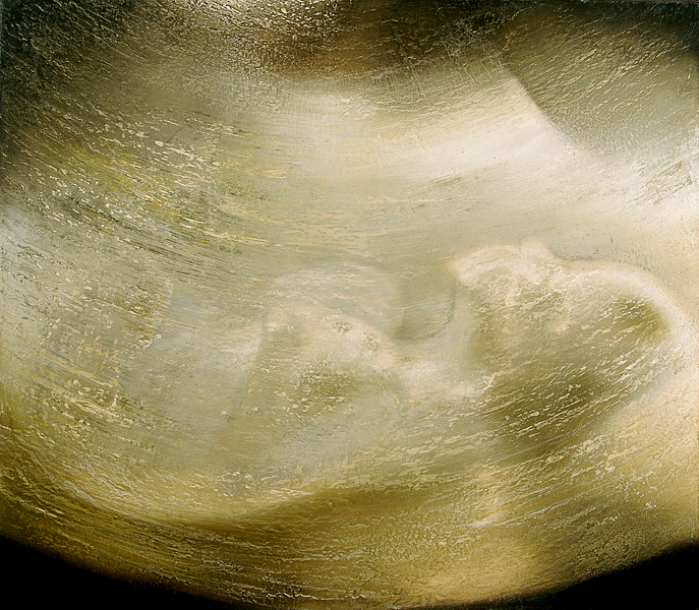 Then, I thought how I would love to paint the ultrasounds as a series. Thus, “The Ultra Sound Series” was born. Like “The Beethoven Death Mask Variations,” the images have taken on iconic meaning. While the Beethoven Death Masks are crusty, thick, earthy paintings, the ultrasounds possess an aquatic light. 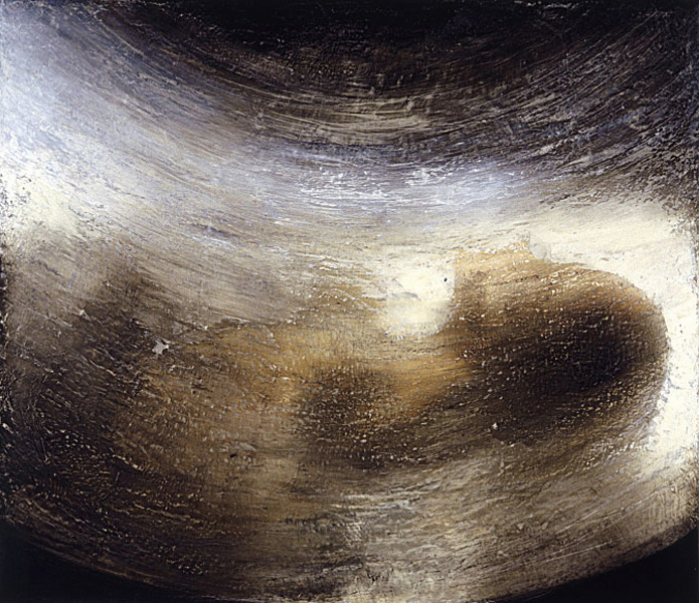 The Beethoven paintings obfuscate into the decay of death, while the ultrasounds obfuscate into light and life. They represent the dance of contemporary life between science and the spiritual. Along these lines, I have composed a piece of music for two pianos called Pulse to accompany the opening of the ultrasounds exhibition. The work juxtaposes the human pulse beat overlapping at different times in the meter at different intervals creating complex, harmonious yet dissident textures that evolve through traditional contrapuntal techniques.